If you were hurt at work, or have an illness that you believe was caused by your job, you may have questions about your right to compensation for your harm. Under the Massachusetts workers’ compensation law, you may be entitled to certain benefits, but obtaining them can be a challenge. At Pulgini & Norton, we can discuss your rights if you were hurt at your job. A Boston workers’ compensation lawyer at our firm can answer your questions and guide you through the process. Workers’ compensation is a type of no-fault insurance. It provides certain benefits to individuals who are hurt at work, or who suffer a job-related illness. Injured or ill workers can receive this assistance irrespective of whether the employer or the individual was responsible for causing the harm. Is My Employer Required to Carry Workers’ Compensation? Yes. All Massachusetts employers must carry workers’ compensation insurance. By providing coverage to its employees, an employer avoids a personal injury lawsuit from them. You may be able to sue your company if it does not carry workers’ compensation insurance, or you can seek additional damages if its willful misconduct caused your harm. As a general matter, however, you cannot sue your employer. If your spouse or parent died as a result of a work-related injury or illness, you may be able to receive survivor and dependent benefits, including two-thirds of your deceased relative’s average weekly wage, cost-of-living adjustments, and compensation for burial expenses. 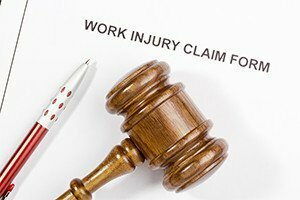 How Can I Obtain Workers’ Compensation Benefits? You should seek medical attention and report the incident to your employer as soon as possible. You may qualify for workers’ compensation benefits if your injury or illness prevents you from working for at least five days. Your employer will then report the incident to its insurer and the Department of Industrial Accidents (DIA). The insurance company will have 14 days to investigate the claim and decide whether or not to pay you benefits. The insurer will notify you, your employer, and the DIA of its decision. An insurance company has what is known as a 180-day pay-without-prejudice period. This means that it can pay you workers’ compensation for the first 180 days after your injury without making a final decision on your claim. The insurer may approve your benefits within this period, or it may deny or reduce them. Many workers’ compensation claims are initially denied. If the insurer rejects your claim, or wants to modify your award, you can appeal to the DIA. You will need to include medical evidence, such as copies of medical reports and other documentation that supports your position. You will then be scheduled for a conciliation, which is an informal meeting at the DIA between you, the insurer, and a DIA conciliator. If no agreement is reached between you and the insurer, your case will be assigned to a conference with an administrative judge. You will need to prove that your injury was work-related, that it disabled you, and that you needed certain medical treatment. The judge will then issue his or her decision. If you or the insurer appeals, you will be scheduled for a hearing. Our workers’ compensation attorneys represent Boston residents suffering from workplace injuries or illnesses. Whether you were recently hurt or your claim has been denied, we can help you assert your right to the benefits you deserve. Our workplace accident lawyers can review your medical records, file a claim with the DIA, and represent you at every stage of the appeals process if necessary. We provide our services to injured workers in Medford, Quincy, and Newton, in addition to other Massachusetts communities. Call us at 781-843-2200 or contact us using our online form to schedule a consultation today.